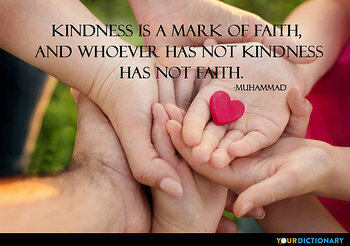 Kindness is a mark of faith, and whoever hath not kindness hath not faith.As quoted in Prabuddha Bharata: or Awakened India, Vol. 44 (1939) published by Advaita Ashrama, p. 84.  As quoted in Al-Islam (1926) by Khwajah Kamal al-Din, p. 47.